Planet Harmonica: Hello Brendan, it’s been a long time since your big spotlight in Planet Harmonica 3 in 2001 (www.planetharmonica.com/VE/SpotlightBPUK.htm)! In this article, you talked about what could be the future of the harmonica (apart from overblow custom diatonics): the enabler reeds system on one hand and the modification of an airtight chromatic in order to have it play like a diatonic, with the benefit of all the added notes, on the other hand. You did produce at that time the great CX-10 (an half-valved, richter tuned chromatic) and even a prototype of “all bending harp” with enabler reeds. You’ve produced extremely innovative inventions since that time. Would please give us your vision of the harmonica as an instrument today and an overview of your recent inventions? Brendan: Hi Laurent, good to talk to you again. Interesting to look back over the time since the last article. The main thing I’ve learned is that I know harmonicas well, but have to conclude I am not a good judge of harmonica players! Frankly, I underestimated how conservative their thinking is. Not just the players, but the manufacturers too. I have to reach that conclusion because, in the 17 years since the Planet Harmonica article not a lot has changed in terms of the harmonicas the majority use. Just as in 2001, the vast majority of chromatic players still play fully-valved chromatics in C, and most diatonic players still use un-valved 10 hole diatonics in Richter tuning. I thought there would be more development of new models and directions, but when you consider further it’s not so surprising things still look much the same. These models are deeply entrenched in players’ muscle memory, which creates a strong inertia against change. Harmonica tunings and setups can be likened to familiar software and operating systems on computers. As with the Windows/Apple OS and software like MS Office, people get accustomed to habitual ways of doing things. They don’t want to switch to anything new – because it causes disruption in their lives, costs money, and takes time to unlearn old ways and learn new ones. Fair enough, it’s human nature: we’re naturally lazy! I’m the same myself when it comes to software – I’d rather stick with what I know. In addition, Solo chromatics and Richter diatonics have deep and strong support structures: the manufacturers, who prefer the simplicity and surety of making tried and tested old formats; plus powerful networks of teachers and instructional material relating to standard harmonica models; as well as many influential recordings and videos by good players who use the stock types. This all means that the main trend in the past 17 years has been players simply strengthening skills and abilities with stock harmonica types and tunings that were invented in the late 19th and early 20th centuries. That’s before the kinds of music we play today on these harmonicas even existed: blues, jazz, pop, rock, country, bluegrass… It seems odd and a bit disappointing to me that we use such old designs to play 21st century music, but that’s how it is. The main action on diatonic harp since 2001 is the spread of overbending on un-valved Richter harps – lots more players are using it now than then. It has a growing momentum derived from the recordings and Youtube videos of well-known overblow players – plus there is a growing body of instructional material about how to overblow/overdraw, and set up harps for it. Up till now been the obvious option for 10-hole harp players who want to move beyond basic blues licks into full chromaticism. Though there are one or two alternative chromatically-capable harps available (eg. the Suzuki SUB30, the Turboslide), they require players to abandon their overblow technique and learn a different method of getting the chromatic notes. Plus they are up against that inertia and momentum I mentioned before, because overbending does have a lot of momentum now. It also has star players players who have devoted many years to mastering it. They and their followers have invested so much money, time and effort on the overblowing approach, and learned lots of licks using the technique. Naturally they want to stick with what they know. Given this development you’d think the manufacturers would be doing something to help the overbend scene by developing new harps that enhance the technique – and help themselves make new sales. But unfortunately the harmonica that the overblow stars use has not changed at all: it’s basically the same hand-customised Richter Marine Band type as in 2001. That’s a real pity! I believe there is a lot of potential for a more advanced kind of overbend harp that will give players what they are used to, but much more. One obvious one is an overbending un-valved Richter mini-chromatic, with the same size and hole spacing as a standard 10-hole diatonic. If such a harp can be made to play and sound as good as a standard diatonic it will give the players who love this approach a lot of extra functionality – beginners and pros alike. Though I don’t use overbending myself (I prefer half-valved chromatics or x-reed diatonics to play chromatically), I love the challenge of creating new harps that would improve the potential of the overbending technique. I have a design for an overblow mini-chrom in the works, and recently have developed other un-valved diatonics that give enhanced performance for overblow players. The simplest one is my patent-pending Overblow Booster. It takes the principle first used on the Suzuki Overdrive, of using channels in the covers with a hole at the end that can be closed, stopping selected reeds to enhance overblows and overdraws. Instead of dedicated full covers, my version comes in two small parts that can be inserted inside the coverplates of standard harps. Thus the harmonica looks the same from the outside, and plays as normal, with the same sound and bends/overbends as before. But the Overblow Boosters inside give it far superior overbending performance whenever the player wants it. The deluxe version adds a rear baffle which closes all the holes in the Overblow Boosters with one small movement of the right hand, so it’s easier to use. Another unique new 10-hole harp I’ve created recently is the SlipSlider, for enhanced note bending on un-valved Richter harps. 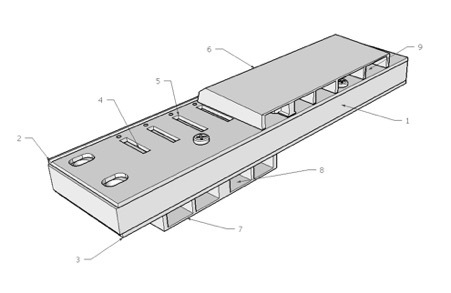 This also uses stock reedplates and covers, but the comb is radically redesigned to allow the draw reedplate to move right or left from the default position. This gives new note pairings which allow previously un-bendable reeds the ability to bend easily with interactive reed bending. It’s made in two separate parts, with the draw reed attached to a sheet of super-slippery Teflon (the space-age food grade plastic coating that lines non-stick fry pans). The two halves of the harp are held together with magnets, which also locate them in the neutral position for normal play. But when you want the extra bend notes, you just slide the draw reedplate a few millimetres to left or right with a small adjustment of your grip. Right-Shift of Drawplate – Gives new blow bends in the bottom two octaves, top octave stays the same. 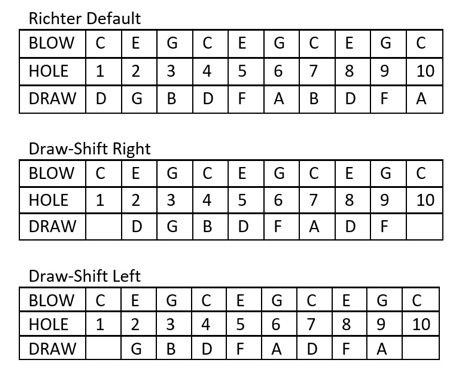 Left-Shift of Drawplate – Gives new draw bends in the top octave, lower two octaves stay the same. My Overblow Booster and SlipSlider are designed to improve performance for overblow players. But despite the dominance of traditional Richter un-valved harps in the diatonic market, there is a small but growing number of players trying other approaches. YouTube has spread the knowledge of how players can customise and retune their own harps, and some are adopting non standard formats. Half-valving (which I invented in 1980 and have used all through my career) is gaining popularity. PT Gazell has done quite a bit to increase interest in it, with his Seydel valved models and instructional courses. Once you try half-valving it’s hard to go back to an un-valved harp, and I think it will gain in popularity over the coming years. Some of my alternate tunings (like Paddy Richter, PowerBender, Power Draw and PowerChromatic) are developing a following, as well as Diminished, Bebop and Circular tunings. I think more players will switch to alternate tunings in the future, but it will be a slow development. That’s because learning a new tuning is like learning new software, as noted above: it requires work and time. Plus it needs an understanding of scales and how harmonica work, of which many harp players are totally ignorant! Extra-reed (X-Reed) harmonicas for greater bending have had mixed success in the past 17 years. The Hohner XB40 was launched but discontinued after about 10 years on the market, and the Suzuki SUB30 has not caught on. Personally I think their market failure is because these models were not optimised for good sound and easy playing. The quad-reed XB40 was big and had a tone that did not appeal to many, plus bends that were hard to control. The triple-reed SUB30 has easier bends but was not made well: it has a leaky upper reedplate that requires extensive embossing to make it play decently. To improve it I started X-Reed.com with Zombor Kovacs. We made several better X-Reed harps based on the SUB30 plates, but they were expensive due to the hand-work involved. We developed the OverValve Plate that made this kind of harp work much better, but Suzuki has shown no interest in improving the SUB30 reedplates or adding an OverValve Plate. Since the stock harp does not work well, it’s not surprising it has not caught on. However I still firmly believe that a great-sounding low-cost X-Reed harp can be a big success, and will keep working towards that goal. As far as chromatics go, there has similarly been no real technical advance. New models have come out that play well and use new manufacturing techniques (eg. 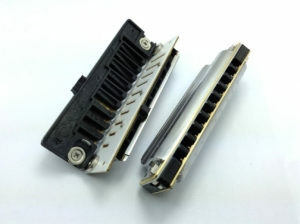 Hohner’s ACE and new 64 series, with their improved injection-moulded ABS plastic combs), but they still do the same things they did in 2001 in terms of the notes they can play. To me this is disappointing – it’s now over 100 years since the first chromatic harmonica was released, and there has been no improvement in actual functionality of the instrument (more note options etc etc) in all that time! I think it’s high time for radical new developments with chromatic harmonicas, but I doubt it will come from the big manufacturers. They are depressingly stuck in old ways of thinking. One development has occurred since 2001: Chinese manufacturers are making a strong impact in all harmonica types. The main brands are Swan and Easttop – Easttop especially impressing with the excellent quality and playability of their diatonic and chromatic harmonicas. I think Chinese manufacturers will continue to gain market share because of their improved quality and competitive prices. But likewise, they are not making anything new or radical, just making their versions of the same old designs. The good news is that these days we don’t have to just accept what the manufacturers give us – it’s now much easier for small makers in home workshops to produce really interesting and innovative harmonicas themselves. Low-cost desktop CNC machines like laser cutters, mini-mills and 3D printers enable anyone with some ideas and a knowledge of CAD design to create some very unique harps that push the boundaries, for those who are interested in trying something new. This is something I’m very interested in, for my own pleasure as well as to give others more possibilities than are provided by the manufacturers. In terms of my own output, I have two main strands: things I make in my workshop, and harps I get made in China. The workshop ones tend to be niche models, like my DoubleChrom (double chromatic: http://www.brendan-power.com/harmonicas-twin.php) and TwinDiatonics (http://www.brendan-power.com/harmonicas-twin-diatonic.php). The two main commercial models I get made in China are the Lucky 13 (extended -length diatonic harp) and the AsiaBend (all-draw bending x-reed harmonica). The Lucky 13 has been quite successful, and is now out in several different tunings – Richter, Paddy Richter, PowerBender. PowerDraw – with more planned. Planet Harmonica: Yes, I’ve been really surprised by the AsiaBend: an all bending X-Reed harp in a chromatic comb, with only draw notes, which allows to bend every note of a diatonic major scale (and related modes) up to and down from other notes of the scale, as well as microtones in between. This really transforms the harmonica into a real instrument for asian/indian musicians. Brendan: I will continue to develop new models in directions that appeal to me: alternate tunings, X-Reed harmonicas, combining harmonicas together to make new types, sophisticated chromatic harmonicas that give the player more note options etc. Whether any will catch on I don’t know, but I enjoy the Rn’D process for its own sake so will keep at it. And there will be plenty more small custom makers using CAD coming along, which will increase the release of fresh approaches in the future. That’s a good thing for everybody, I think. So far I’ve talked about conventional harmonicas with reeds. The one BIG development in harmonica history in recent years was the 2017 release of the DM48 MIDI harmonica, by the inventor Erik Lekholm. It is really mind-blowing! It can play any sound you want, in any tuning and any octave. It’s not for everyone, but for adventurous players it opens up a lot of previously impossible things using their familiar harmonica technique. I love the DM48, and have helped create a couple of accessories to make it easier for diatonic players to use: a Mini PitchBender, and a diatonic-type mouthpiece interface. I think the DM48 will be followed by other MIDI harmonicas – I know Jim Antaki is working on one, and others too. A really interesting new frontier for harmonica players, for sure! From wherever they come and of whatever type, I’m confident there will be some exciting harmonicas emerging by 2030 that could take the instrument in bold new directions. Frankly, it’s about time! 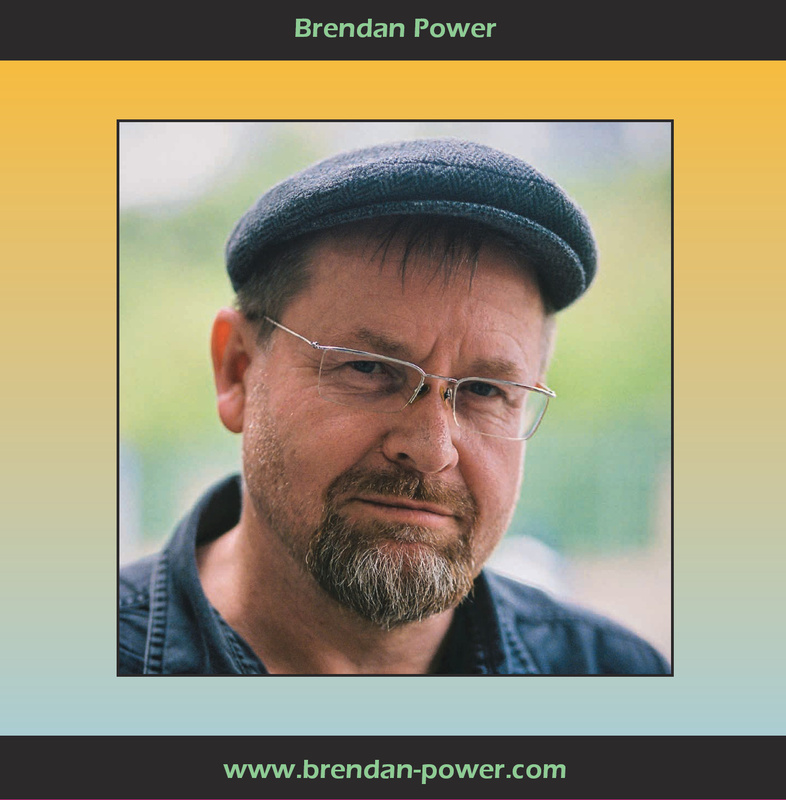 Planet Harmonica: Big thanks Brendan for sharing this. We hope we’ll talk again in less than 17 years!